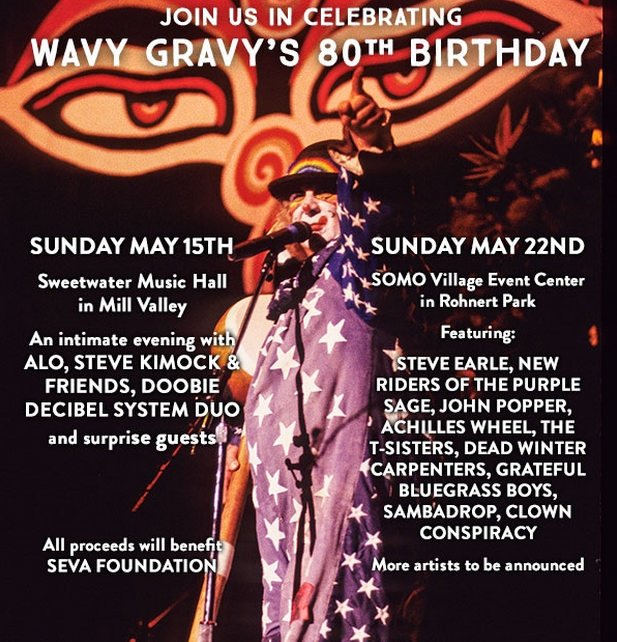 Wavy Gravy turns 80 ! 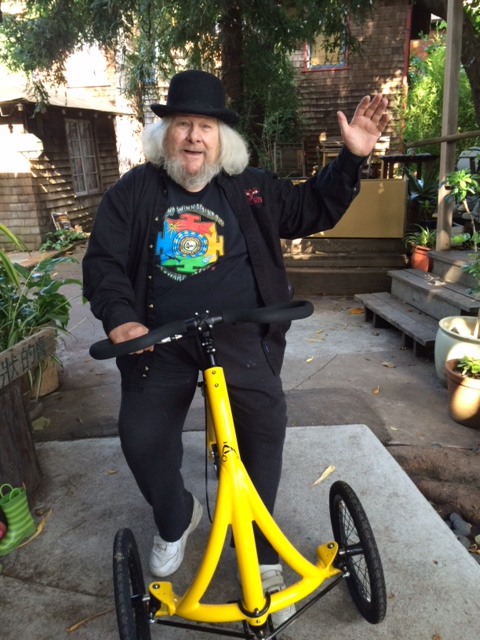 Happy 80th birthday Wavy Gravy ! heep heep heep! hooray !!! Wavy may be best known to millions as a cosmic cut-up and the inspiration for a Ben & Jerry's ice cream flavor – "I am an activist clown and former frozen dessert," he says – but it is because of his good work on behalf of the planet and its least fortunate residents that Wavy Gravy has achieved his own brand of sainthood. His friend and satirist Paul Krassner has called him "the illegitimate son of Harpo Marx and Mother Teresa." Wavy says, "Some people tell me I'm a saint, I tell them I'm Saint Misbehavin'." Wavy Gravy was also the clown of the Grateful Dead. 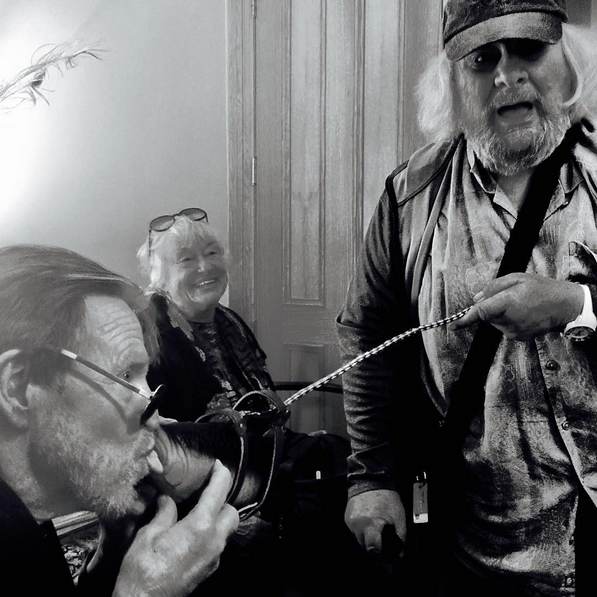 When he saw John Perry Barlow (lyricist of the Grateful Dead) on the Alinker, he went to visit him with his wife (photo below) and decided he wanted one too! What better than a cool tool to keep me moving!!! still 17 days to go, it's not over yet! Make a contribution for an Alinker for someone else! click here to go to the campaign and link it through to your friends! Something very special happened the evening of the 9th May. A few hours before 8 social ventures presented Pecha Kucha style at ‪#Propel2016‬ I received an email from a social worker who works with low income women in the downtown EastSide of Vancouver. One of his clients, a young woman who had lost a leg, wanted to come and try the Alinker. We put them on the guest-list and they came. Lacy, a young athletic woman, lost her leg in a traffic accident some 7 years ago. She did not only lose her leg, but as her support system and society failed, she also lost her job and ultimately her whole life. She is now separated from her children and trying to get her life back. A young woman who tumbled down and lost everything that she had. This can happen to all of us, yet she is dismissed and ends up on the streets of Vancouver. 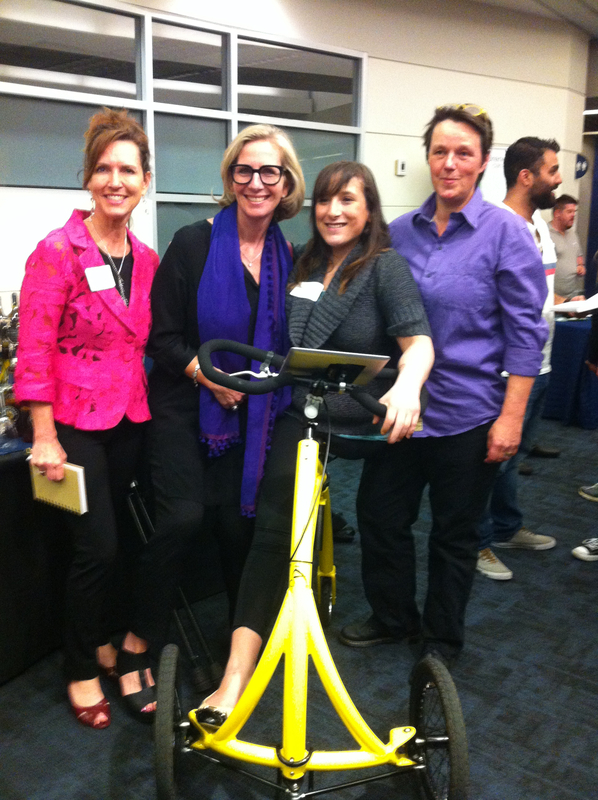 After I did the presentation about the Alinker and our vision about an inclusive community, SheEO's Vicki Saunders jumps on stage. She had just opened the evening as the key-note speaker, addressing radical generosity. She said:' There is a woman in this audience who really needs an Alinker. Can I have 20 people to raise their hands to give each $100 for an Alinker for her?' Instantly more than 20 people raised their hands. That is how simple it is to just show up for each other. A young woman who lost a leg, needs extra support and community, not less. She is not so different that you and I. You can contribute for Alinkers for many more people through our campaign: https://igg.me/at/alinker/x/13573208 Make a contribution and nominate someone. together we can move differently!